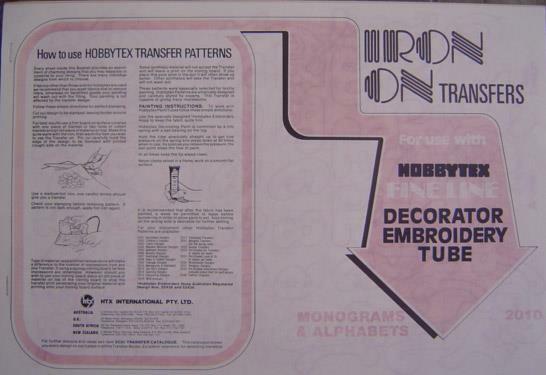 Create your own fabulous range of items by using the wide range of Hobbytex Iron-on Transfer Books. Each book has 10 pages of designs (unless otherwise stated). Iron-on Transfer instructions included with each book.